It is not a secret that businesses strive to create top-notch content that encourages customers to make a purchase. With rich messages, you can utilize the power of your assets by sending responses that are more personal, captivating and intuitive than plain text. You can mix and match: text, images, buttons and quick replies to show off your products. So what are the benefits of rich messages? Did we get your interest? 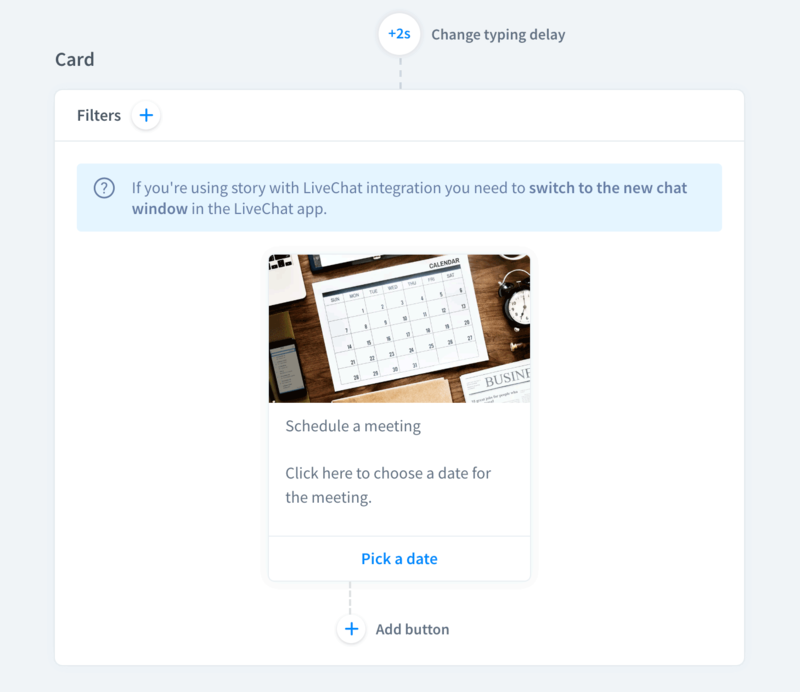 Keep reading to learn what types of rich messages are available within LiveChat and how to use them with a LiveChat integration. 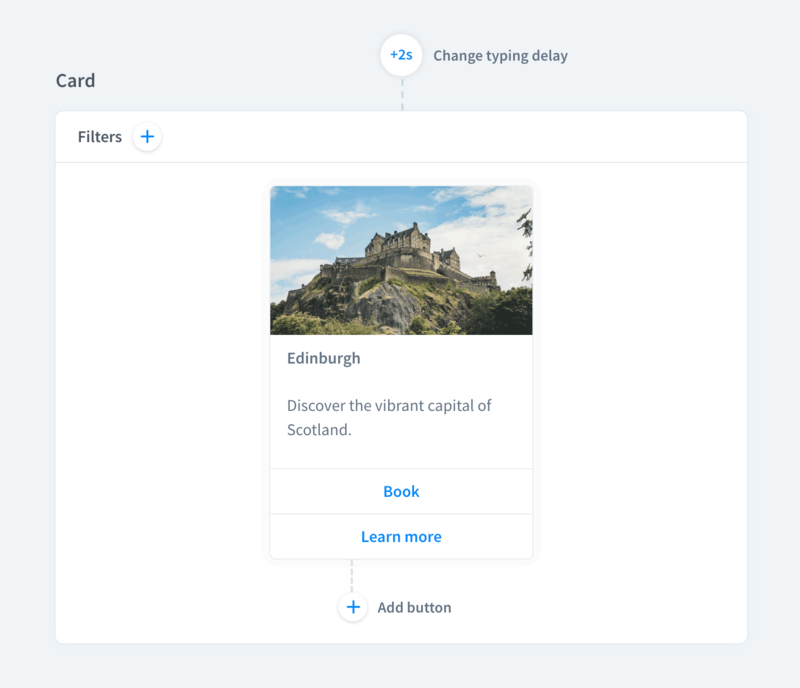 A card response allows you to create a single item, that can contain an image, a title, a description, and up to three buttons. Apply to show a single product/service. 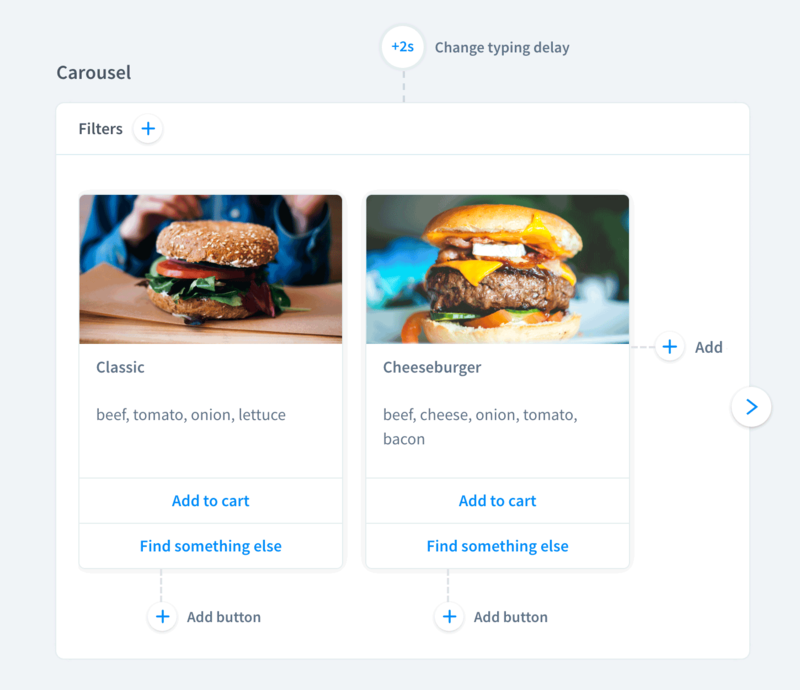 Use a carousel to show your products or services as a collection of two or more individual cards with action buttons. Perfect for giving your visitor a variety of choices. 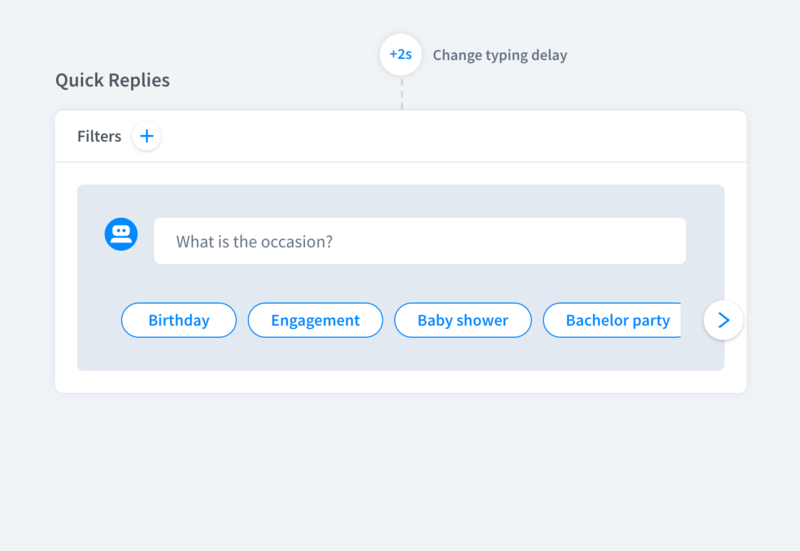 Define up to 11 instant replies that can be selected by users. Convenient for scheduling, surveying, and suggesting possible answers. 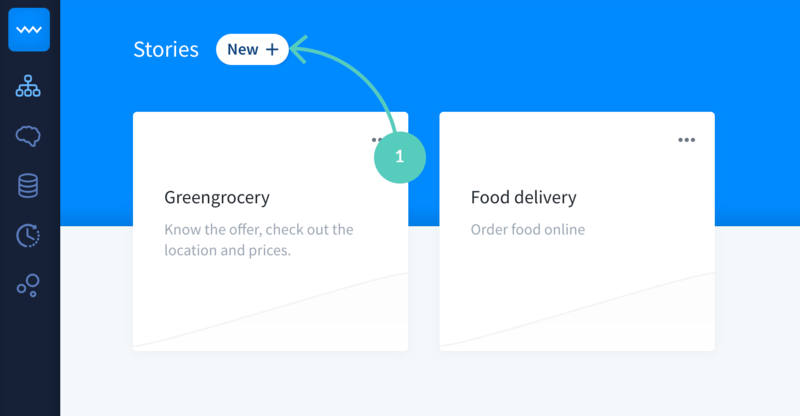 Use a description followed by buttons when you want to create a clickable response or build a menu. With Moments you can show any web application right in the chat widget. They make performing quick actions like paying, scheduling meetings, reading help articles, and booking seats easy. You need to switch to the new chat window to use rich messages. Head to Settings→Chat widget→Customization and click on Discover the new look. Confirm by hitting the Save button. Currently, LiveChat supports rich messages delivered by chatbots created in ChatBot. To try them out, head to the ChatBot website to sign up for a 14-day free trial. If you already have an account go to our article on how to integrate ChatBot with Livechat. Navigate to Stories and click on New+ to create a story (if you are not new to ChatBot, you can choose an existing one). Then, create a new interaction (if you are working on a prefabricated story you can choose an existing interaction to edit it). 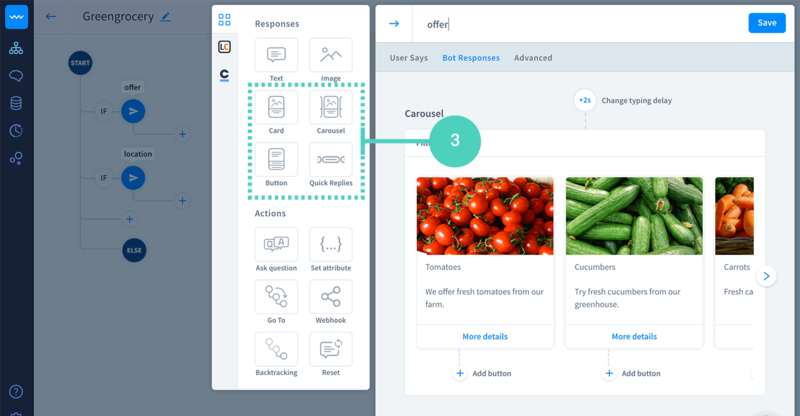 Finally, choose the response type you want to use and customize it. Remember to hit Save when you are finished. 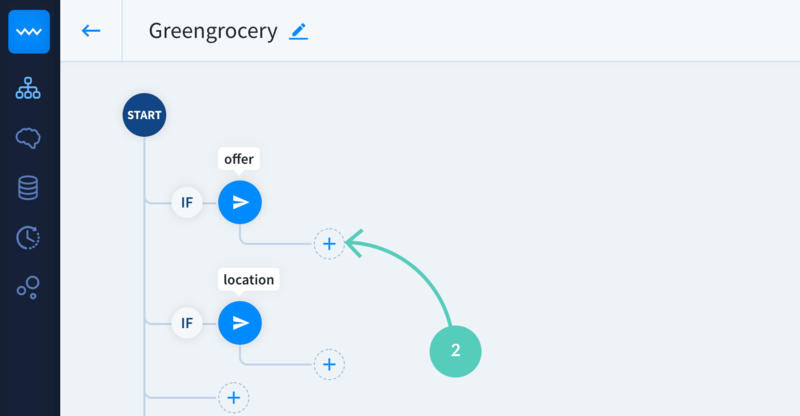 Once you are finished with your story, you can navigate to the Chat section in the LiveChat app to see how your bot handles rich messages in conversations with customers. If you are a ChatBot newbie, read the How to build your first chatbot article. If you need any help, our Support Heroes are there for you 24/7/365.